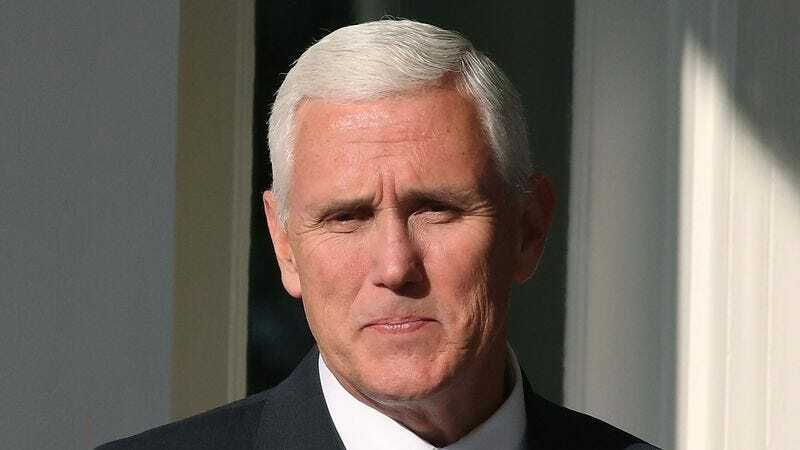 WASHINGTON—Saying he would surely rise to the occasion if tasked by the Almighty with the ultimate test of faith, Vice President Mike Pence said Monday that he was disappointed that God has never called upon him to kill one of his own children. “It’s just heartbreaking that the Lord hasn’t summoned me once to show my dedication to Him by sacrificing one of my precious kids,” said Pence, telling reporters that he has spent years waiting for any sign at all from the Heavenly Father that he should ritually slaughter one of his three children. “They’re grown now, so I’m starting to think I’ll never get the chance to offer the blood of any of them to prove my unshakable devotion. Heck, I’d put all three on an altar if that’s what He wanted.” Pence added that he would nevertheless keep a sharp dagger at the ready in the unlikely event God someday asks him to kill one of his grandchildren.